I have learnt to sit and wait with the blank screen until words are born in the very ether. There is a quality within that allows these words to materialise. It is beyond thought, and I have been searching for this inner space my whole life. It feels like coming home after a lifetime’s absence. Waiting for the inner voice to appear. This quality is your essence. It is always present and is impervious to the past. Whatever flavour of story you decide on for your version of the past is irrelevant. When you are fully here now in your essence there is no past. And there is no future. What I have learnt through a lifetime of searching is that the past only ends when the searching stops. You are absolutely perfect. There is no change required because your essence is perfect and untouched by the illusion of past and future. It may be a surprise to hear this from a writer who works with people. What is the need to work with people who are already perfect? The perfection gets lost in the search and my work is to help you rediscover your essence. This essence has a voice. It whispers very quietly through the hidden reservoir within. The hum is God’s whisper right in my ear. And when you have a hum like that, you can’t help but strive for greatness. I love the sense that God is whispering right in her ear, and the key is that it is indeed a whisper. In order to hear the faintest of whispers, there needs to be a tuning and turning inward. Tune in to the subtle feelings in your being and turning your attention inwards. And when this whisper is heard, you can’t help but strive for greatness. The searching is over and your own unique greatness will manifest itself. The search is most often external. A bigger house, more free time, more impact, more money and I will be happy when this or that happens. Whichever form the search manifests for you right now, look beyond it to your essence. We are looking in the wrong direction. I am an expert in looking in the wrong direction and it is only when the search of searches has begun that your life will begin to transform. I am working with some incredible people who have satisfied all of the external searches. And still there remains a flicker of discontent. Listen to this flicker and follow it to its source. For, in the source is the wellspring of life and your perfection. Did I say that already? You are perfect just as you are right now. Listen to the still, small voice within, and that will guide you. Nobody else can guide you; nobody else can become a model for your life, because you are unique. As Osho says, you are unique and you are already perfect. There will never be another piece of life like you. If you need a little help finding your own small voice within, let me know. A life guided by your own inner voice is a life worth living. You will manifest the greatness within. 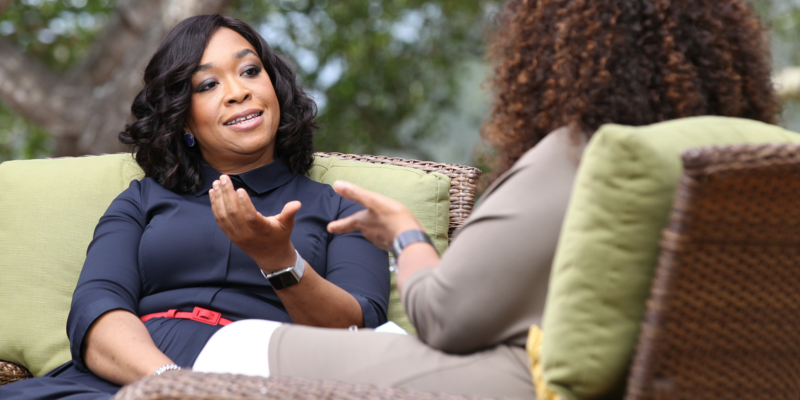 Take a look at Shonda Rhimes’ TED talk, ‘My year of saying yes to everything’ here.